It so happens that I titled my previous blog post. “Rendezvous with Routine.” Science fiction readers will catch the reference to Arthur C. Clarke’s seminal Rendezvous with Rama, a novel about an enormous, cylindrical alien habitat that happens to pass through our solar system in transit from some unknown-to-us location to another unfathomable location. Now real-life astronomers are preparing to publish a paper about their discovery of an actual visitor passing through our solar system. It’s a strangely elongated asteroid evocative of the shape of Rama. Just weeks ago it passed closer to our Sun than we are here on Earth. Though not artificial, but it’s nonetheless historic: the first object known to humankind to have entered our solar system from outside and to become available for our study. 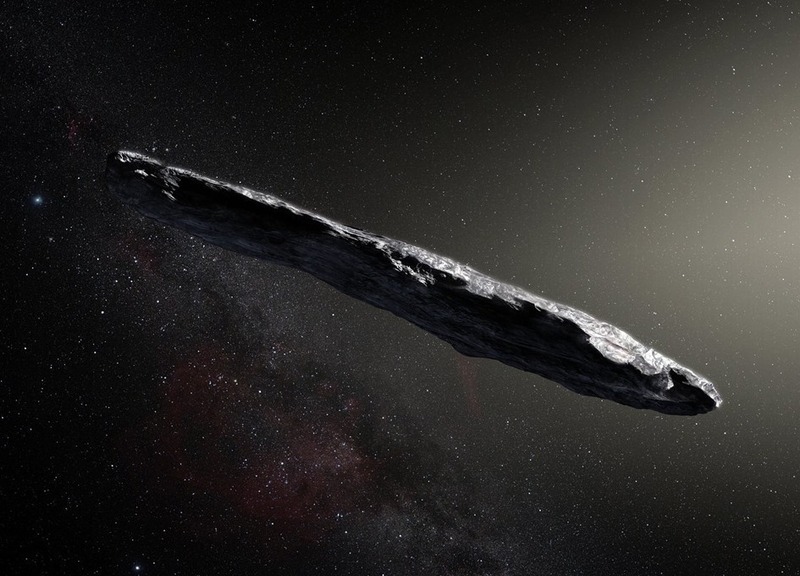 The interstellar asteroid’s new name, ‘Oumuamua, means “a messenger from afar arriving first” in Hawaiian. The detailed European Space Observatory press release can be found here.